Social media is now a daily part of everyone’s life. People use it at work, at home and even sometimes on their job to let their family and friends know what’s going on in their lives. Businesses now use it on a regular basis to get the word out about their products. However, there is a good and a bad side to the use of social media. One of the best things about social media is that it can connect an individual with other people from all over the world! You can share your likes and dislikes with other like minded people. Users have been known to make lifelong friendships with people from different countries by communicating with people on Twitter and Facebook. 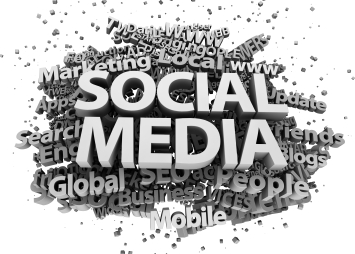 Social media sites are also a great way to share important and exciting information which is why businesses use it. People spread the word very quickly about products they love on social media because sharing is just a matter of clicking a button. The biggest problem with social media is that once you put something on there it is out there for everyone to see forever even if you “delete it.” Also, words can be misunderstood easily on social media so it is important to make sure you think about the tone of your post before you post it. There are many more advantages than disadvantages in social media. Using it with precaution and thought can keep it as a fun experience for everyone.